How do you get your website noticed by search engines? Home > SEO > How do you get your website noticed by search engines? 09 Aug How do you get your website noticed by search engines? Titles and Meta Descriptions are the place to start for getting your online store noticed by search engines. You’ve started your online business, and opened your online store. How do you get your store noticed by the search engines? Whatever you want to sell online, if you want the best return on your shopping cart investment, you will need to get noticed by the search engines. So how do you go about promoting your ecommerce website? One place to start is getting the right website’s home page title and “meta” description. What is the title and meta description for your store? Why does it matter? The description of the pages in your site for search engines (known as the meta description) and their page title can significantly influence how visible your website is to your potential customers in search engines. In particular, as your home page is often the most frequently visited page in your site, it means that the title and description that you give your site can influence whether or not you are found by searchers. If you are new online business then customers may not be searching for you by name, so this makes a careful selection of the title of your site even more important to getting in front of the right target people to buy your products in your shop. There’s limited space available for titles and descriptions, so economy is also an important consideration. The best title and meta description for you will depend on your industry, what your customers search for and what your competitors do. Search for your products yourself – what words came to mind for you to start with? what businesses already come up on page one for that search term or phrase? Visit the pages and note the search title that is being used by that site. You can find the search title in the title bar of the site, or by going to View->Source in your browser and looking for the <title> tag. Use the Google Keyword Tool to find words and phrases that others are searching for. Upgraded to Windows 10? Try searching for your products using the quick search facility in Windows that will also search the web and show you suggested matches from Bing (based on the volumes of searches from other people). If changing the title and “meta tags” can’t be done by you in the admin section of your website, make sure (before you buy your shopping cart) that their support team can do it for you. Having a website title that includes the keywords your customers will be searching for can play a critical part in getting noticed by the search engines. The Blocks Manager is used in Ozcart to set up your home page title and meta description for your website. In your store administration panel go to the Design menu, and choose Blocks. Then click the Homepage tab. There you can edit the title and meta description for your website. Work to the rule of having between 150 and 160 characters in your meta description, and aim for between 50 and 60 characters for the title. Once you have changed your title and meta description, it won’t be updated in Google instantly as you will need to wait for Google’s search engine software to visit your site and re-index your page(s). How soon this happens depends on how frequently your page is visited by Google already – which depends on the popularity of the site in Google’s eyes and the frequency by which you have previously updated pages. Google does not use the meta descriptions or meta keywords as part of their ranking calculations (algorithm) but does use them in how results are displayed to customers viewing results, so it’s still important to ensure that they are used and carefully chosen. Titles are included in the ranking methodology so these are very important to get right. Don’t just write them once – review them, look at the search terms that are getting click-throughs in your Google Webmaster Tools and Google Analytics tools and make adjustments as appropriate. What are Meta Tags, Titles and Search Engine Keywords? You may have read the last paragraph and be wondering what all the jargon means – words like ‘meta tags’, ‘primary keywords’, ‘title’. It may help to have a quick overview of how search engines index websites (skip to the next section if you are already familiar with what these terms mean). When someone puts a search term into a search engine like Google, the search engine attempts to return the most relevant results to the person searching. It looks in its own pre-created indexes to find the pages that have the best fit for that search term as well as the overall popularity of that page or site (usually measured by the number of quality links to that website). The title of the page is what appears in the top bar of Google Chrome or Firefox and is something that search engines weight heavily in returning results to customers – after all, a page’s title describes the main content of that page. Meta tags and meta descriptions are content hidden into the top part of each web page. They tell the search engines what content is on the page which helps them compile an accurate index. 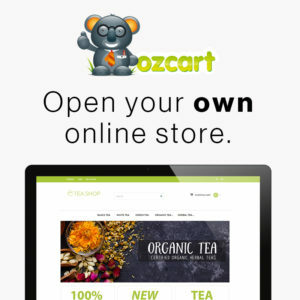 Some shopping carts like Ozcart allow you to set separate title, meta tags and meta descriptions for each product as well as each category in your store. Search engines like Google often display the meta descriptions when they return results to people who search for a particular term (or keyword). With well defined meta tags, descriptions and titles for each of your pages, a nice tidy (‘Search Engine Friendly’) urls in the address bar of your browser can also be useful for indexing of your pages and making them memorable to your customers. For example, both search engines and people will find it easier to use a url like http://www.yourshop.com.au/jewellery compared to http://www.yourshop.com.au/index.php?category_options=all&sort=3&category_id=820119. Once your title, meta tags and URLs are under control, look at the text you have one each page. Does it use the search engine terms (keywords) your customers will be using to look for the products you sell? If not, edit your product descriptions appropriately. If your shopping cart allows you to have category descriptions then use them too. You will also need to gather lots of useful links. Think about ways you can get credible, useful websites with good integrity to ‘vote’ for you by linking to you. One place to start is with directories, but link exchanges, ‘social bookmarks’ (links from places like Digg or Facebook) are also useful options for you.